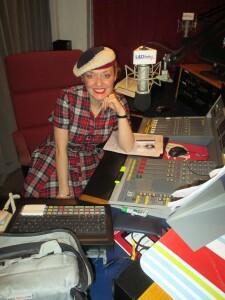 Back from L&D Radio & Off Down to Portsmouth! In the Studio with Alan Pagram! As ever I’m in a dash as I have so many loose ends to tie up before I head off on Monday morning down to Portsmouth. I have a show in Berkhamsted first thing and I will be heading off straight afterwards so I was keen to write my blog a little earlier today as I’ve much to get ship-shape before I hit the road. 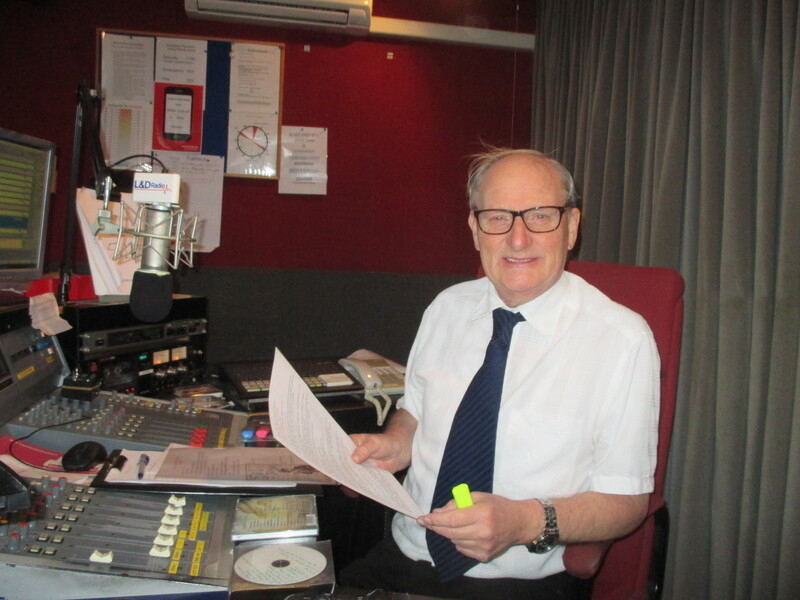 I should like to start by thanking all of you who tuned in to hear me live on Alan Pagrams show on L & D Radio last Friday evening. It’s always good to receive your e-mails and it was fun to catch up with Alan and be part of his show. Alan will be interviewing me again in August on the 6th and 7th when I shall be performing at the Isle of Wight Steam Railways Victorian Weekend. In fact I know a lot of you have been enquiring about whether I will be in Normandy again this June for D-Day . Just to keep you in the picture I am currently discussing things with the powers that be so I’m keeping my fingers crossed. One must never count ones chickens before they have hatched but all being well it’s looking very likely! I shall keep you posted! For those of you who live in the Leicestershire area you might be interested to know that I have been invited to perform at the Victory Show on the 3rd 4th September this year. I’ve never sung there before and it’s a new event for me which I’m looking forward to singing at very much. I’ve been engaged to perform 3 x 45 minute non repetitive costume shows daily and also to perform a spot at the Saturday night dance which I belive has already sold out. It’s a very popular show and I’m already planning my shows for my 2016 season. It’s my intention to invest into some new musical arrangements – so what with the filming I have planned I have a very busy year ahead of me with so much I wish to achieve. It’s very important I keep Connie tip-top with all the mileage we do and I’ve noticed the other day she might have a diagnostic problem. Her yellow light was on and when I took her to the garage I was quoted rather a lot of money to replace the EGR valve all because it’s in an awkward place. I belive this is what mechanics call a “Bxxxxxxd Job” You can fill in the blanks – that’s if I spelt it right! The light has since gone off which might suggest it’s the MAP sensor which is why I’m getting a second opinion. Paul knows a “trusted man” and I have since put Wynns Extream Diesel System cleaner in with half a tank of diesel which with a good run down to Portsmouth might be just the thing to give her a good engine clean out. We shall see what this trusted man says and it will be lovely to spend some time away with Paul not having to worry about shows. That’s about all my news for now other than Rachel is working her magic to sort out my plug-ins. I noticed the cover photo I choose on my blog didn’t come through as it should have done on facebook and went with photo number two. As you know I see the world in pictures and I can’t tell you how annoying that is. Also Rachel is going to be working on my news feeds which are also playing up on my web-site so do bear with us. The modern world is wonderful when it works but tiresome when it doesn’t!